Hope you all are having a great week! Since Christmas is almost here I wanted to share this fun holiday look. 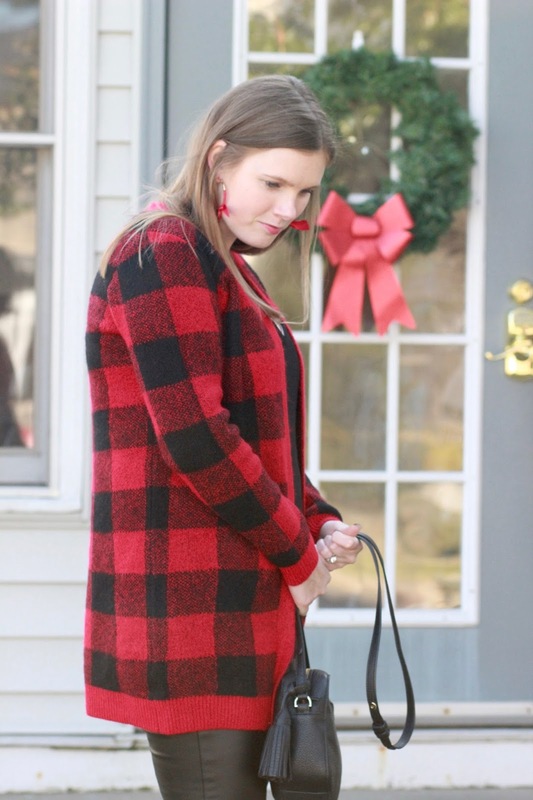 I love wearing red around the holidays and this cardigan is perfect! Buffalo plaid is such a great print for the holidays as well. 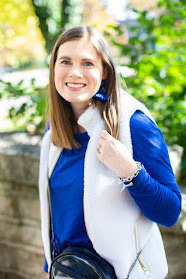 This velvet tank is such a great way to add texture to this outfit. Another way to style this buffalo plaid cardigan is with this striped peplum top that is on super sale under $24. Also my favorite $19 striped top would go perfect as well. I've been loving these leather leggings they are super cozy and lined with fleece which makes them super warm. It is great for these chilly days we have had in Kentucky. What outfit do you plan on wearing for the holidays?